A group of very enthusiastic students from Oseta Jolly Primary School. 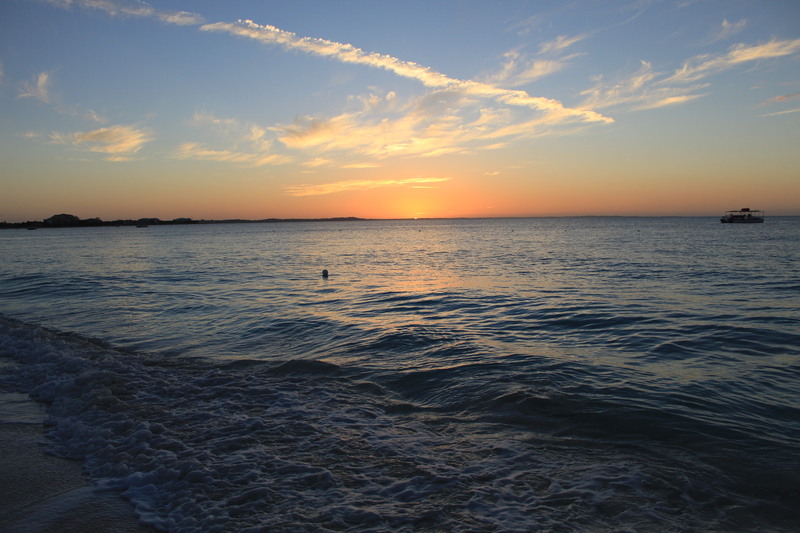 Wow… it is crazy how fast time flies here in Turks and Caicos! It feels like just yesterday I was getting off the plane, feeling both nervous and excited for what was to come, and now I am reflecting on my final month here in TCI. The month of March has been incredibly different from the previous months as there was no major event to plan for, so we were able to shift our focus to our in-school rugby sessions and our Saturday Youth Rugby League. The children have continued to surpass our expectations by participating in such an enthusiastic manner, which makes coaching such a fun and enriching experience. All our in-school sessions have progressed to the point where we have been able to start incorporating all the individual skills that we have been working on all semester and are able to play a proper tag rugby game with minimal coaching. It is truly amazing to see how far these kids have come, from initially not knowing that the ball needs to be passed backwards to now understanding all aspects of the game, which has made our efforts here feel very worthwhile. One of the turtles we spotted at Coral Gardens Reef. Outside of work, we have had an amazing month filled with unique experiences. I was fortunate to be kept very busy throughout the month with visits from friends, which allowed me to get out and show them the island as a ‘local’, as well as reach out and discover new beaches, try out new snorkeling sites and take tours that I wouldn’t have otherwise. 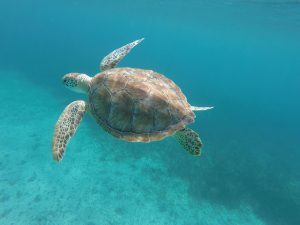 I was even able to check off a major item on my bucket list when snorkeling at a reef with my friends, I saw my very first sea turtle up close after crossing paths with a family of five of them! Another highlight of my month was in our tag rugby league, when after being out of a playoff spot over halfway through the season, we were able to bounce back and win the league championship. I was very grateful for this opportunity to play rugby again after many years off. It made me realize how much I miss playing and what a unifying sport it is, bringing together so many people of the community. Our tag rugby team, the Meridian Marauders, after we won the league championship. 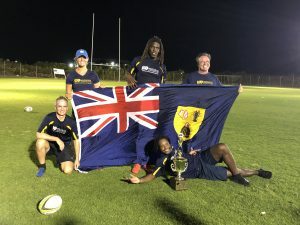 Now as I am getting ready to say goodbye to this incredible island and life-changing experience, I have been able to reflect upon the moments that have shaped this internship, the learning experience I have had with the Turks and Caicos Islands Rugby Football Union, and the memories I have made that will last a lifetime. I would like to express my gratitude to the people of Turks and Caicos who have welcomed us so graciously with open arms, introduced us to the amazing culture their islands have to offer and made my time here so memorable. I would also like to thank all those who enabled us to succeed with TCIRFU, including all the teachers who have been so welcoming to us coming into their PE classes, the rugby Board of Directors who assisted us with many events throughout the course of this internship, and especially TCIRFU president Keith Burant, who not only made this internship possible, but also taught me a great deal about overcoming adversity and the importance of sport on a community. 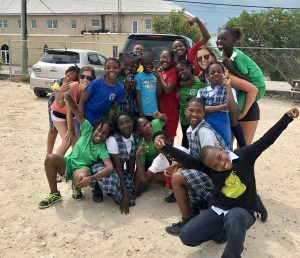 This has been such a life-changing experience for me, I have gained so much insight into my own capabilities from learning how to adapt to the uncertain environment that is in the Caribbean to seeing the positive impact that I can have on the youth of TCI through coaching and mentoring. I hope the impact that I, along with past and future QE Scholars, have on Turks and Caicos will be as lasting and positive as the impact it has had on me.